Do you know what affiliate marketing is? Do you wonder how you can use it for your business’ growth? The first affiliate marketing programme was started by Amazon in 1996. They saw it as a way to get people to bring leads to their website through a third party. Let’s have a deeper look into affiliate marketing. The producer: This is the business which produces the product or service – you. The marketer: This is the person or business who markets your company on their blog, social media or email newsletter. The consumer: This is the person who purchases your product. The network: The program or system you use to track the leads or sales generated by the marketer. 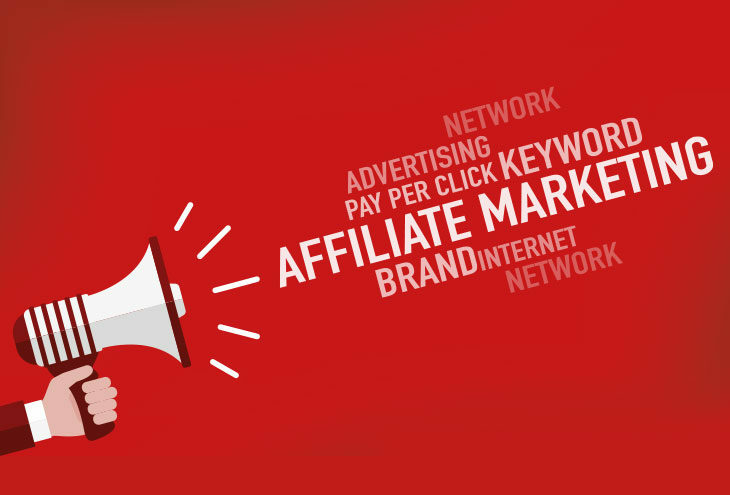 What are the benefits and challenges of affiliate marketing? As with any aspect of marketing, there are benefits and challenges to developing marketing strategies. You only pay for results. With this type of marketing you only pay when you see results. If you don’t see results you don’t pay. It’s is cost-effective. Once you have designed all the promotional material for the affiliates you only need to pay the commission from the sales produced. Affiliates can be better contacted and creative. They may be better at creating copy and reaching niche segments. You know the cost per acquisition and you will be able to work out if the programme is running at a loss or profit. You almost never lose money. You may however have shady affiliates who are unethical in their dealings and you will want to stop them as soon as you become aware of them. You are not in control of message. When you trust an affiliate to market for you, you are trusting them to present your brand in a favourable manner. This is why it is very important to veto the affiliates before you allow them to be associated with you. The technology can be complicated. It is important to use a system which will accurately record the sales from your affiliates as well as not be complicated to use. You will need to invest time. Affiliate marketing is not a plug-n-play solution. You will need to spend some time setting it up and ensuring you have the right affiliates associated with your brand. You will also need to get someone to manage the programme when it gets too big. You need to have clear strategies and tactics. You need to tell your affiliates which keywords they can and can’t use for their promotional material. If they use your name you may end up paying a lot on bids if you use it in your own marketing efforts. But even with these challenges the rewards in the end outweigh the initial effort to employ the programme. How to setup your affiliate marketing programme? If you choose a platform, the affiliate programme will be hosted by a third party who will have list of affiliates already that you can choose from to help promote your programme. If you choose a plugin, then your affiliate programme will be hosted on your website platform. Each option has its pros and cons. The benefits of an affiliate platform are that they will track everything for you, they will be able to detect fraud easier, they will automatically pay your affiliates, and there will be less accounting processes you will need to follow. The benefits of an affiliate plugin are that it can be cheaper, and you can choose who your affiliates will be. With both methods, you need to seek out affiliates and ask them to join your affiliate program by leading them to the affiliate program’s landing page. Look for bloggers and websites who have a good following and are in the niche market you wish to conquer. You need to ensure your affiliate programme is a win-win situation for both you and your affiliate. You will need to supply your affiliate with some copy which they may use to promote your product. You should also give them image which you would like to be used with your product. See how well your affiliates are doing in creating leads or sales. If you find some which aren’t beneficial to your programme, then you need to cut them from the programme. The next step is to optimize the programme based on the feedback which you have received form your affiliates. By following these four steps you will be well on your way to creating more leads and sales from markets you may have never known existed.